Twin Robots – Update 1.3 available! 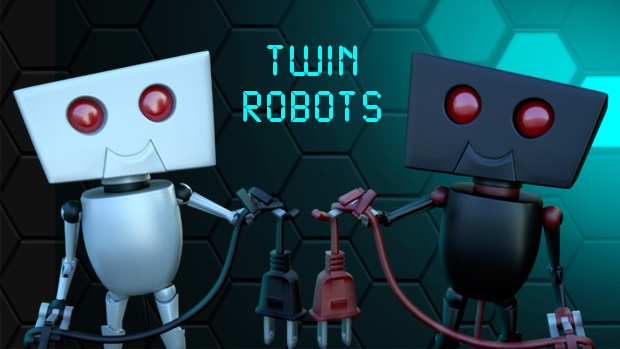 Twin Robots has been updated to v1.3 and is ready to be downloaded from the OUYA Store. This new update fixes several minor bugs related to leaderboards and statistics. It also adds a new “Thank you!” screen at the end of the game. Just a quick post to let you know that Twin Robots has been updated to version 1.2 a few days ago. It’s already live on the OUYA Store, I just forgot to announce it here… my bad! Hope you enjoy it! Yes, it’s here! The game is finished! It will magically download on your OUYA the next time you start it up and a connection is available. The game is free to try, you can play 3 levels both in single & multiplayer (local coop.). After that, a single payment unlocks all the levels (28).